DO-16202-03 was succesfully added to your cart. 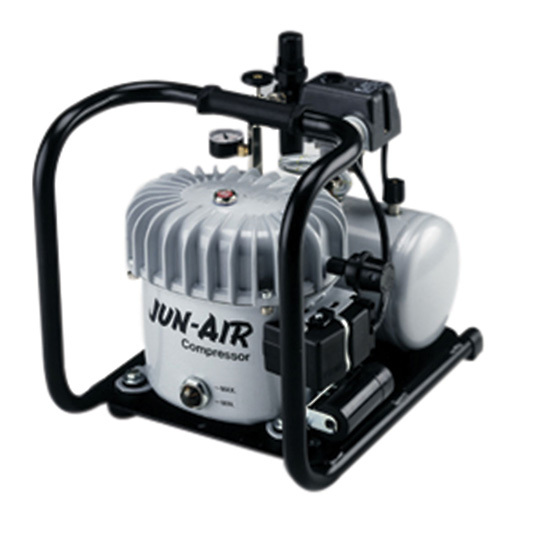 These oil-lubricated compressors are quiet enough to install at the place of use. The motor housing encloses the sound-producing parts, and there are a total of four noise reduction chamberstwo on the intake line and two on the pressure line. Spring-mounted motor and rubber feet dissipate vibrations. Jun-Air''s specially formulated synthetic oil optimizes lubrication, cools the motor, extends valve life, and has a long working life. Minimized tolerance between the piston and cylinder means no piston rings are required, reducing wear and tear by inhibiting heat development and energy loss.